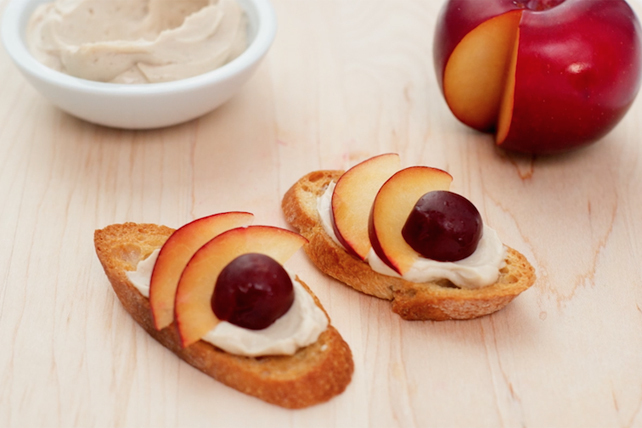 Fresh cherries and plums come together in this sweet and simple snack. Spread toasts with cream cheese product. Prepare using Philadelphia Strawberry Cream Cheese Product.